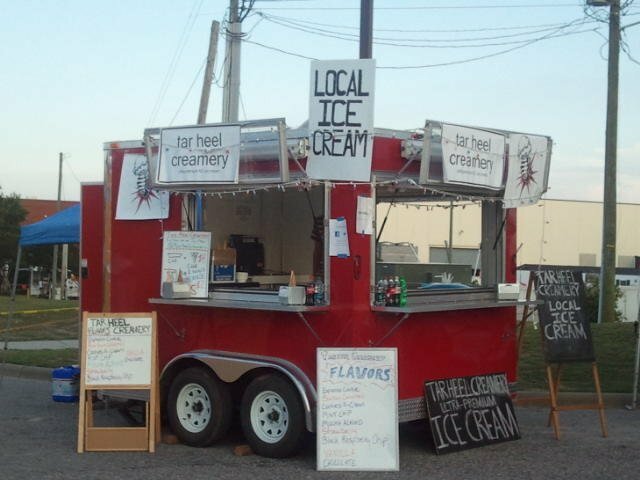 Carrboro Farmers’ Market Is Opening With A Shindig! 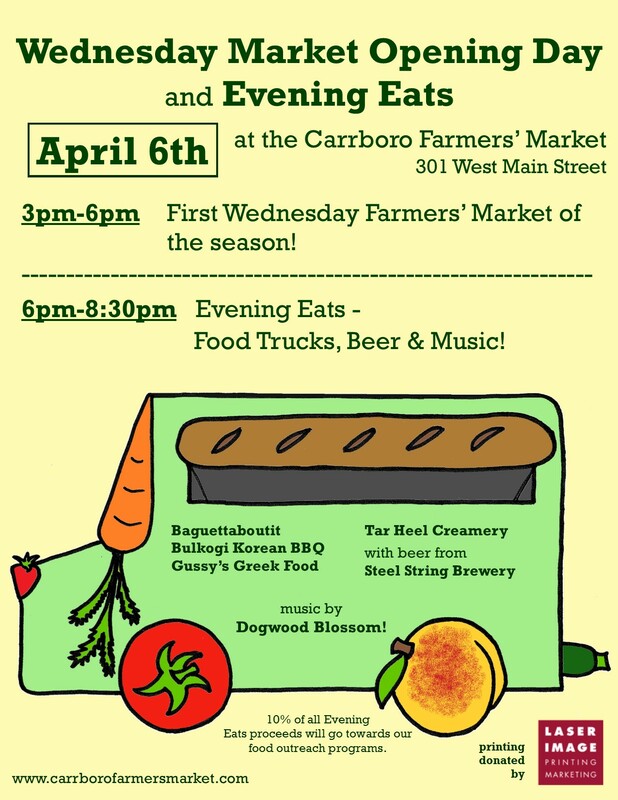 10% of all Evening Eats proceeds will go towards the Carrboro Farmers’ Market food outreach programs. This is a great opportunity to support our community in multiple ways – shop local, eat local, listen local and donate local! My family and I are looking forward to attending this event, we hope to see you there! 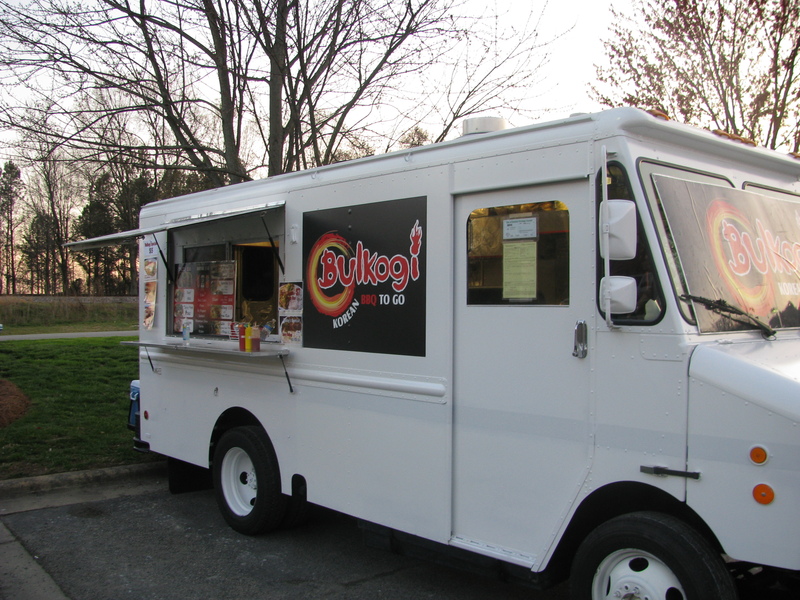 Check Out The Food & Beer! 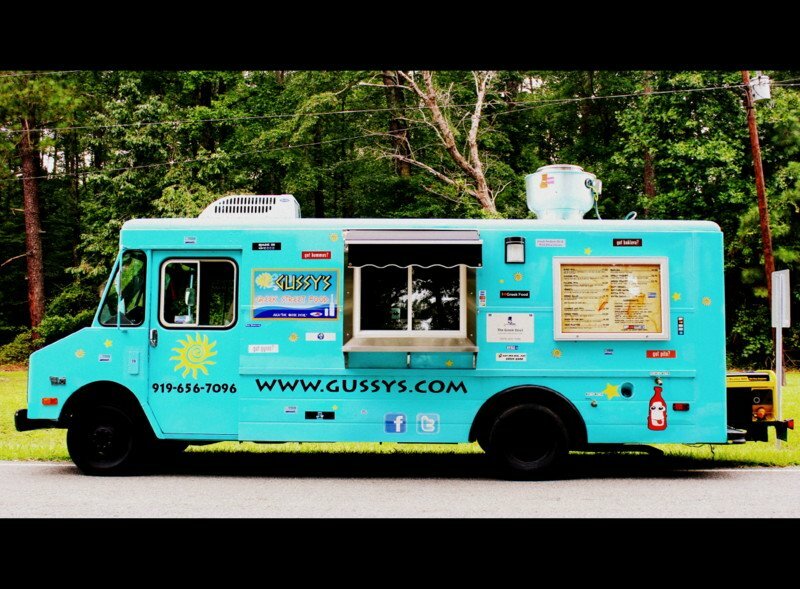 Click on the food truck name to see their websites which are full of tempting photos of their food, information about their businesses and their menus! This acoustic band is from the Durham-Chapel Hill area. Kari Haddy – vocals and fiddle/violin, Cathy Klein – guitar and vocals, Tom Williams – guitar, mandolin, harmonica, vocals, Mike Paris – guitar, dobro, autoharp, banjo, stand up bass and vocals! Check out their website to hear samples of their music!